Make your own jewelry! With the personalised photo dog tag you can let your imagination run wild and use any image you want to create a necklace that is close to your heart. The traditional way to wear a memorable photograph around your neck is with a heart locket. However, a heart shaped necklace may not be to everyone’s taste. With the personalised photo dog tag you can wear a photo, or in fact any image, around your neck without having to open up a little love heart to admire your photograph. 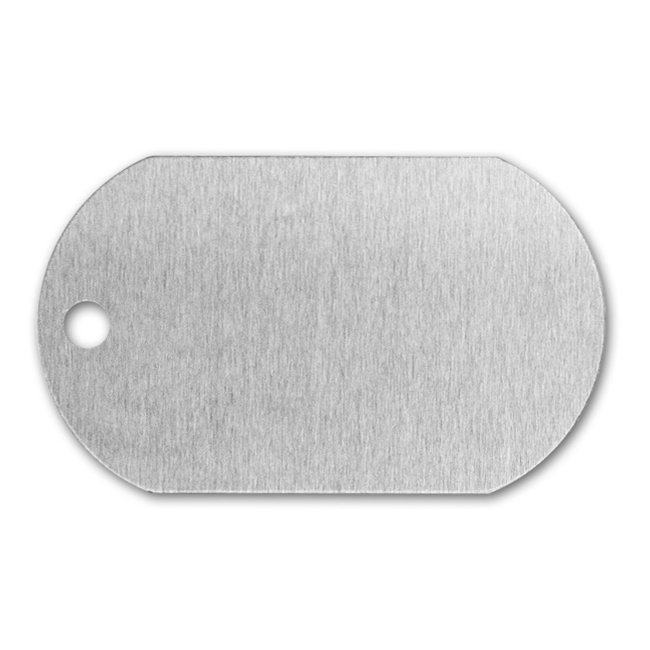 The size of the dog tag is 3 x 5 cm which is big enough to commemorate a fond memory with a photograph or display a stylish image. You can also write a personalised message over the image with our handy, easy-to-use personalisation tool. Simply click on the ‘Personalise’ button and follow the simple instructions to add any image and text you wish. Whether you wish to adorn the dog tag with your favourite photograph, an awesome artwork or stylish graphic, the personalised photo dog tag can be modified however you wish. An ideal leaving gift, making sure your friend, family member or colleague will always have you close to their heart.